HomeDiscussionDid Joe come through my Joe’s Box? You decide. As most of you who follow me know, I love my Joe’s Box. 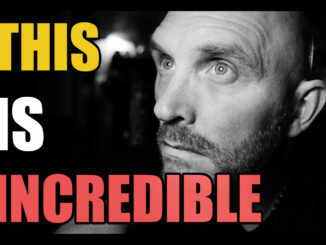 It has given me some jaw dropping responses that are so rich and clear at times it is almost unbelievable. Many view my Joe’s responses and either feel I fake them or that there is some sort of trickery going on. I can assure you that this is NOT the case. 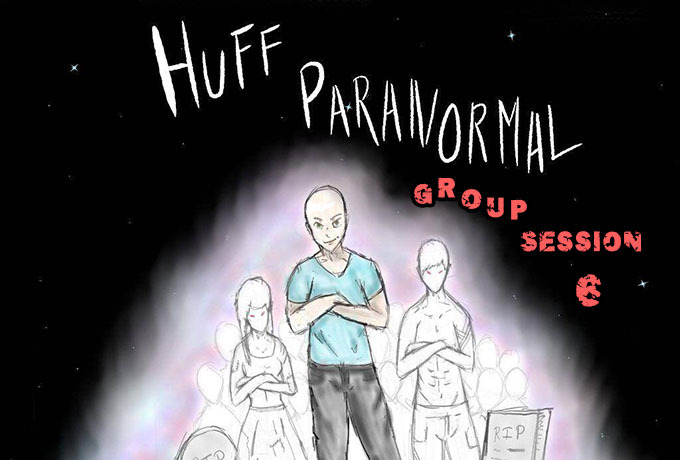 What comes out of the box are very real replies from what I believe are spirits ranging from lost souls to even loved ones who stop by from time to time to leave a message. In my Spirit Communication stable I have an Andy’s Box, my Joe’s Box and the Echovox app. Each one is unique and each one will work but I believe strongly that results have more to do with the person operating the device than the device itself. 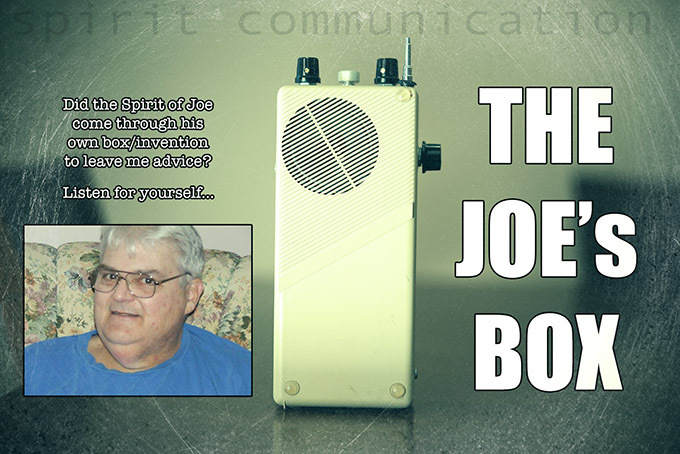 I have heard incredible Joe’s Box sessions from others and I have heard horrible sessions. Sometimes the Joe’s box just goes silent on me and does nothing while other times it sounds like a scanning radio. When it is “on” and receiving active spirit communication it sounds much different. It goes semi silent, you hear some quick snippets of noise and responses just come out. Very clearly. It is an incredible device, and one I have been wanting to find and buy a backup of. They are VERY rare and hard to find as only a handful were ever made and shipped and none will EVER be made again by Joe as he passed away not so long ago. When they do go up for sale, maybe 1-2 times per year on e-bay or within the Paranormal community they sell for quite a bit of money. One just sold this morning for $1,975.00 on e-bay and I bid on it as I decided to try so I had a backup but the price ended up getting too high for my tastes! I will just baby the one I have (and no, mine is not for sale..I keep getting asked if it is). They have become quite the sought after box lately and it seems many are willing to pay top dollar for a piece of paranormal history. Joe is gone and these are part of his legacy and memory. It was very sad news to hear for me and I often wondered if Joe would attempt to use his own device to come through for any of the few who own one of his boxes. Me, I had to give it a shot. Since owning this box I have had the name “Joe” come out of it many times but last night was different. I was in my office, wide awake at around 12:30 in the morning. I was the only one awake and decided to see if I could get Joe to come through the Joe’s box. I sat down, turned on the box and asked if Joe could come through. I asked him if I should buy/bid on the box off of e-bay..the response was a very clear “Buy It” but the amazing part about that is, it sounded to me just like Joe! Another longer response came in, crystal clear and again, it sounded JUST LIKE JOE but this time he was telling me to have “ONE, Don’t Get TWO” as in if he was saying NOT to buy it since I already have one. So conflicting messages..1st one says “Buy It”, 2nd one says “One, Don’t get Two”. Amazing. To be sure of what I was hearing I pulled up a radio interview he did a while back and grabbed some of the audio of his voice. As you will see in the video I did a side by side, Joe’s real voice when he was with us, and then the response which may very well be his voice communicating through his own box and giving me advice. When I heard the side by side I was amazed and for me, I feel it is Joe’s voice but of course have no way to confirm it is him. No way at all. Take a look at the video below and listen to the side by side. What do YOU think? Was that Joe coming through to answer my question about his box? If so, this is pretty incredible and just pushed the boundaries of spirit box communication even further. I will be testing much more long-term to see if this voice comes through more after asking for Joe and even seeing if he will come through my Andy’s Box or Echovox. Did Joe come through my Joe’s box to communicate with me and give me advice? I think he did. 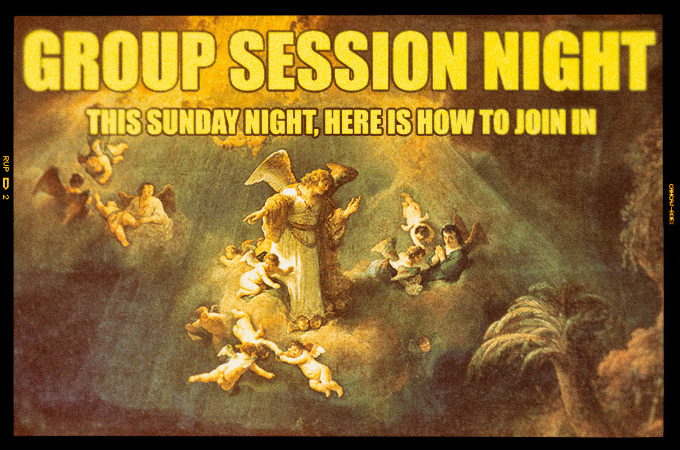 Group Session #6 video now up! See it here!